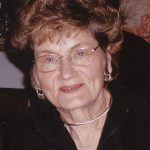 Shirley Ann Hovanic-Wilburn, of Yorktown, Va. “the queen of clean,” passed away peacefully on February 2, 2019, surrounded by her loving family, at her son’s home in Zion Crossroads, Va.
She was 85 years old. Shirley was born in Pennsylvania to the late John Baylin and Susan Rusnak Baylin. Shirley had a short career as a registered nurse but was better known for being a good homemaker, a great dessert baker, and a woman of exceptional faith. She loved football and cheered loudly for the Pittsburgh Steelers and the Tennessee Volunteers. Mrs. Hovanic-Wilburn is predeceased by her first husband, William S.
Hovanic. She is survived by her life long friend and loving husband, Joseph H. “Jack” Wilburn, Sr.; her three sons, William John Hovanic and his wife, Kathy, Stephen Francis Hovanic and his wife, Ana and daughter Ileana, and Mark Joseph Hovanic and his wife, Sharon. Shirley had seven grandchildren, Joseph Hovanic, Meghan Peltz, Seth Hovanic, Mary-Katelyn Hovanic, Anya Hovanic, Ethan Hovanic and Tatiana Hovanic, and a precious great grandchild, Caleb Peltz. She is also survived by her oldest sister, Madeline Bradley. A funeral mass will be celebrated at 12:15 p.m. on Friday, February 8, 2019 at Church of the Incarnation, Charlottesville, Va. Burial will be at a later date in Arlington National Cemetery. In lieu of flowers, memorial donations may be made to Hospice of the Piedmont at www.hopva.org or Food for the Poor at foodforthepoor.org. Condolences may be given to the family at www.hillandwood.com.